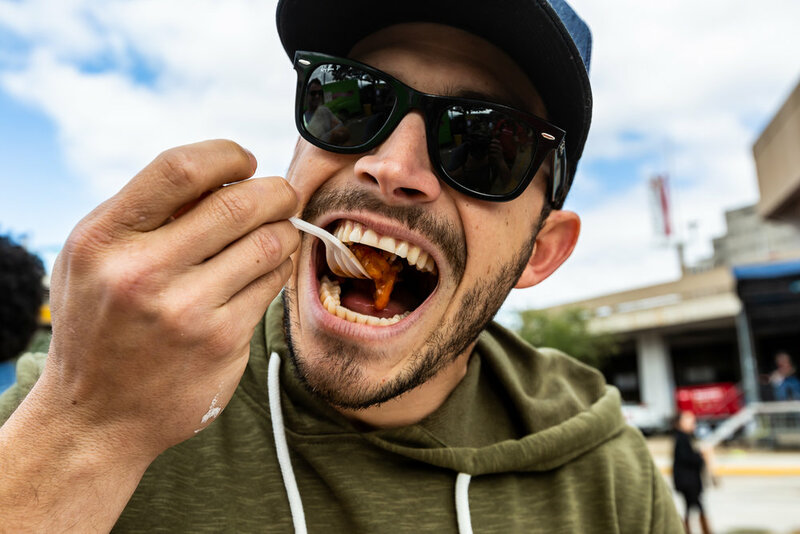 Following a successful inaugural year (explore the photo recap here), the Louisiana Street Food Festival is back for 2019! 30+ inventive chefs from across the state will gather to serve their mouthwatering street food specialties for one day in downtown Baton Rouge, LA. 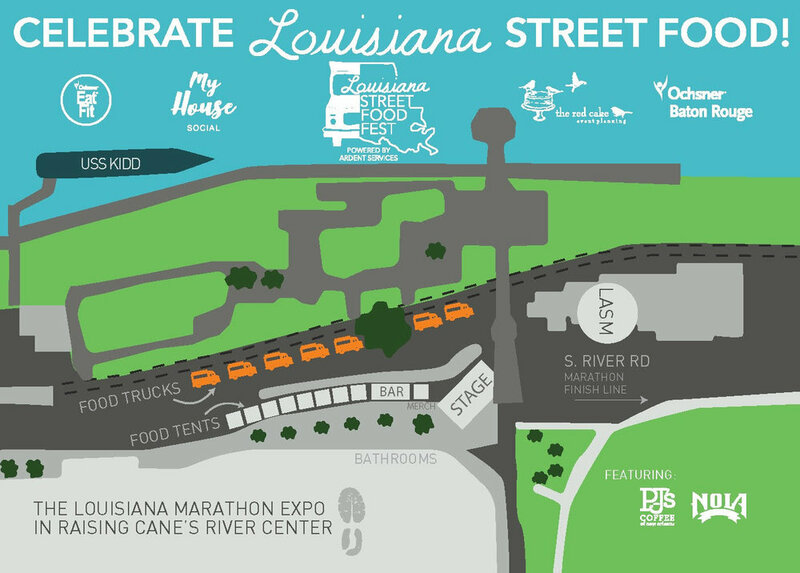 Work up an appetite at the Louisiana 5k, Quarter Marathon or Kids Marathon and join us for all day eats, drinks and live music. Running the Louisiana Marathon or Half Marathon Sunday? Welcome to the perfect place to fuel up! We are delighted to partner with the Louisiana Marathon. The Louisiana Marathon was established in 2012 as a major racing event and a running festival, celebrating both the passion for the sport and Louisiana culture. Participants run a fast, flat, and fun race course and then enjoy a true Louisiana Festival featuring local musicians, locally brewed craft beer and the best cuisine around! The yearly Rendezvous running festival falls the weekend before Martin Luther King Jr. Day in Louisiana’s capital city, Baton Rouge. 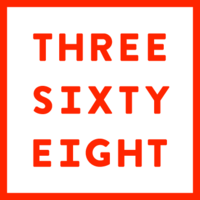 With a multi-race format, there’s a race for everyone: marathon (26.2 miles), half marathon (13.1 miles), quarter marathon (6.5 miles), 5K and a kids marathon (1.2 miles). The Marathon course takes runners from downtown, along the river, through the University Lakes, the Louisiana State University campus and through historic river town neighborhoods. Since 2012, friends, family, and curious spectators have lined up along miles of picturesque roadways to cheer on runners from 50 states and over 32 countries.